I booked the trip to show my friend from Australia as much as possible about San Francisco. We are both in our 70's and nothing could have been more perfect that our trip with Rick. He was so careful to take us to places where we could easily navigate the walking and climbing in and out of the car. I am local (North Bay) and I learned so much on this tour. I would recommend Rick to anyone wanting a great tour of our beautiful City. TOUR GUIDE RESPONSE: Thank you for the very kind words and for taking the time to post a review. I am glad both of you enjoyed your tour of San Francisco. Had a group of 6 and Rick did an excellent job! TOUR GUIDE RESPONSE: Thank you very much for posting a review. I am glad you enjoyed your tour. Come back and see us again. Rick did a great job with our tour of San Francisco and later Muir Woods. He was prompt, knowledgeable, flexible, and prepared to handle any and all requirements we requested of him. I would strongly recommend Rick as a tour guide. TOUR GUIDE RESPONSE: I am glad you enjoyed your tour. Thanks so much for posting a review. Rick was just great to work with. Communication was excellent and he was very accommodating. We had an original pick up point at our hotel, however about 20 minutes prior, I called him to see if he could pick us up at a restaurant we were at. No problem at all! He was actually there waiting on us. The tour was excellent and his knowledge of the sites was amazing. If you are going to San Francisco and would like a tour, I highly recommend Rick! TOUR GUIDE RESPONSE: Thank you for the very kind words and for taking the time to post a review. I am glad you enjoyed your tour of San Francisco. Come back and see us again! We thoroughly enjoyed our tour with Rick as our guide. He was a safe driver, provided water, and was pleasant to his passengers. Rick was very informative and stopped often for pictures. He covered all the main attractions in San Francisco and while riding to Sonoma, he shared his knowledge of wine. The restaurant he recommended in Sonoma was excellent. Thanks for a great day, Rick. TOUR GUIDE RESPONSE: I am glad you enjoyed your tour. Thanks so much for taking the time to post a review. Come back and see us again. There are many more wineries to visit! Yesterday we had the pleasure of touring with Rick. Even though the weather was not great Rick still gave us a very good tour of San Francisco. His knowledge of the city and it's history was phenomenal because of his attention to details . I highly recommend Rick if you're planning a trip to San Francisco in the future. Special thanks for taking us to the right location for my surprise engagement!!!!!! TOUR GUIDE RESPONSE: I am glad you enjoyed your tour of San Francisco. Thanks so much for taking the time to post a review. I greatly appreciate it. Come back when you have more time Congratulations on your engagement. Rick was very pleasant, patient and accommodating. He was on time at the meeting point and was prompt to respond to my queries. We had a good day trip! TOUR GUIDE RESPONSE: Thank you for taking the time to post a review. I greatly appreciate it. I am glad you enjoyed your tour. Rick was a awesome guide who had great knowledge of the San Francisco area. Took us to areas we wanted to see but included places that most travelers would not know of. The family especially enjoyed Twin Peaks. He was very good with our two young grandkids and included them in the tour. He was very organized and punctual, and his vehicle was immaculate. If you want a informative and entertaining tour book Rick. TOUR GUIDE RESPONSE: Thank you for taking the time to post a review and for the kind words. I am glad you enjoyed your tour of San Francisco. Come back and see us again. Rick was fantastic. Really enjoyed your tour around San Francisco. Wish we had more time. Will definitely recommend Tours by locals. Thanks again Rick. TOUR GUIDE RESPONSE: Thanks for posting a review and for the kind words. I am glad you enjoyed your tour. Come back when you have more time. After touring the city the day before, we 3 retired ladies were ready to cross the bridge and visit Muir's Woods and the Marin sites. Rick was able to obtain an early morning park entry and we had the Woods almost to ourselves. Then we heading for the viewing sites for pictures and down to Mill Valley and Sausalito, past the floating homes. We finished our tour with Rick at Sausalito and took the ferry back to San Francisco. Wonderful day. Thanks Rick. TOUR GUIDE RESPONSE: I am glad you enjoyed your tour of Muir Woods, Mill Valley, and Sausalito. Thank you for taking the time to post a review. When you next head this way, please let me know if I may be of some help. Rick was outstanding!! I had 4 days to get away with my 22 yo son who had never been to SF! Rick showed us both a great time and intro to the city. We saw a ton and had stimulating conversation on a variety of topics! I highly recommend Rick and will be looking for tours by locals in every city/country! TOUR GUIDE RESPONSE: Thank you for the kind words and for taking the time to post a review. I really appreciate it. I am glad your son and you enjoyed the tour. Come back and see us again. If you want to see the sights of San Francisco in a nice clean car and visits sights off the beaten track then Rick's your guide, my family had a great afternoon out with Rick and would highly recommend him for your tour. TOUR GUIDE RESPONSE: Thank you for posting a review. I greatly appreciate it. I am glad you enjoyed your tour of San Francisco. When you next head this way, please let me know if I may be of some help. Rick was a very professional guide. He listened carefully to our interests and requirements and provided us with a very interesting tour around San Francisco. He was clearly very knowledgeable and he interacted really well with our teen age kids. TOUR GUIDE RESPONSE: Thanks so much for taking the time to post a review. I am glad you enjoyed the tour. When you next head this way, please do not hesitate to contact me if I may be of some help. TOUR GUIDE RESPONSE: Thank you for taking the time to post a review. I am sorry you had to cut your tour short. I hope you enjoyed the remainder of your visit to San Francisco. TOUR GUIDE RESPONSE: Thank you for your kind words. I am glad you enjoyed your tour to Bodega, Bodega Bay, and Point Reyes. Best whirlwind tour of the city we could possibly have hoped for! Our visiting family have praised it repeatedly as the very best part of their entire trip, and we completely agree. Rick is such a great guide, very professional and accommodating... Safe driver, extremely knowledgeable, so pleasant. We will absolutely do this again with first-time Bay Area visitors, it's the best way to see the city in a day. TOUR GUIDE RESPONSE: Thank you so much for the kind words. I am glad your family enjoyed their tour of San Francisco. When you next have visitors from afar, please let me know if I may be of some help. Rick is a great guide, friendly, accommodating, very knowledgeable about the area and extremely patient. We had a great tour! TOUR GUIDE RESPONSE: Thanks for taking the time to post a review. I am glad you enjoyed your tour. I hope you had a good afternoon looking for earrings. Enjoy the remainder of your cruise. Rick gave our family of six an absolutely wonderful tour of San Francisco, Sausalito and the Muir Woods. The tour was not only a lot of fun, it was also very educational due to Rick's impressive knowledge of SF and the Bay Area. Our four kids (ages 10, 8, 6, and 4) loved seeing all of the sights and learned so much at the same time. The tour was the highlight of our trip. We are so glad we booked the tour and had Rick as our tour guide. We recommend him without reservation. Chris C.
TOUR GUIDE RESPONSE: Thanks so much for posting a review. I am glad your family and you enjoyed the tour. Have a great time in L.A. I had not spent time in San Francisco and was eager to learn about the city. I contacted Rick and he was flexible and accommodating in working out the details of a tour. The tour was highly informative, fact filled, fun and the best 3-1/2 hours I've ever spent as a tourist. Apart from being a professional guide, Rick is friendly, easy going and a really nice person with whom to spend a day. I would encourage anyone interested in learning about San Francisco to take advantage of Rick's expertise. TOUR GUIDE RESPONSE: Thank you for the very kind words and for taking the time to post a review. I am glad you enjoyed the tour. I hope you had a great reunion. What a wonderful day! Great choices of wineries and wonderful lunch place. Very knowledgeable about the wineries and vinards. Had a great day! TOUR GUIDE RESPONSE: Thanks so much for the kind words. I am glad you enjoyed your visits to Frog's Leap and Rutherford Hill wineries as well as your lunch at Mustard's Grill. When you next head this way, please let me know if I may be of some help. Rick could not have been better, knowledgeable, friendly and a pleasure to be with. This tour got our visit off to a spectacular start. THANKS for a great afternoon. TOUR GUIDE RESPONSE: I am glad you enjoyed your tour of San Francisco. Thanks so much for posting a review. We had a wonderful day with Rick. He is very knowledgeable about the area and pointed out lots of very interesting items we didn't know about. Time well spent!! We had an excellent day out with Rick who, after several email conversations, made a couple of very good suggestions for wine tasting in the Napa/Sonoma valley region. We felt that we were in good hands from pick up to drop off, and for any discerning traveller, this has to be one of the best ways to spend a day. It was also very nice to have a choice on where to have lunch and not feel rushed or pressured at any time. Thanks Rick, for a great day out! Happy Thanksgiving! TOUR GUIDE RESPONSE: Thanks so much for posting a review. I am glad you enjoyed your day in wine country. Trefethen and Anaba are two of my favorite wineries. Enjoy your remaining days in San Francisco. Rick went out of his way to make sure we stayed dry during a rain soaked tour. He changed his route slightly to avoid traffic and answered all our questions. He even gave us suggestions for places to eat. TOUR GUIDE RESPONSE: Thank you for posting a review. I am glad that, despite, the rain, you enjoyed your tour of Monterey and Carmel. When you next head this way, please let me know if I may be of some help. Rick was on time, flexible with ideas, and as accomodating as possible to make our tour memorable. His knowledge of the city was great and his vehicle was immaculate. He stopped whenever we wanted to take those special photos. He is highly recommended to anyone considering taking a private tour of San Francisco. TOUR GUIDE RESPONSE: Thanks for the kind words and for taking the time to post a review. I am glad you enjoyed your tour of San Francisco. Come back and see us again. There's much more to see. Rick was very friendly and knowledgeable. I would recommend taking his tour. TOUR GUIDE RESPONSE: Thank you for taking the time to post a review and for letting me show you around San Francisco. I am glad you enjoyed the tour. I hope to see you again in the not too distant future. There’s much more to see. Rick was a comfortable person to be with. Both my husband & I found him to be knowledgeable & attentive to our concerns & interests. TOUR GUIDE RESPONSE: I am glad you enjoyed your tour to Muir Woods and Sausalito. Thanks so much for posting a review. I hope you had fun at the wedding. I took two other folks who attended the wedding on a Muir Woods, Sausalito, and San Francisco tour. TOUR GUIDE RESPONSE: I'm glad you enjoyed the tour. It's too bad we ran out of time and didn't get to see the redwoods. You'll just have to come back! Thanks for taking the time to post a review and for the kind words. I would rate Rick Spear as a number 5. He was knowledgeable of the area, and he shared the information well. TOUR GUIDE RESPONSE: I am glad you enjoyed your tour of San Francisco. Thanks much for taking the time to post a review. I greatly appreciate it. What a wonderful, awesome morning spent with Rick, touring and learning all about San Francisco. Just fantastic. I did the 3.5 hour tour of the city for first timers. He had the agenda perfectly timed and planned. I got to see so much and stop for photos whenever I wished. Rick had an excellent knowledge of the City's history, and could answer any question that arose. Excellent guide, I would most certainly recommend him and would use him again when I'm in the area. TOUR GUIDE RESPONSE: Thank you for the kind words. I am glad you enjoyed your tour of San Francisco. Come back and see us again. After an overseas flight with a long airport layover scheduled, the three hour tour of the city was a perfect way to spend an afternoon. Rick not only showed us the highlights of the city, he was very knowledgeable about the history as well. TOUR GUIDE RESPONSE: Thanks so much for posting a review I greatly appreciate it. I am glad you enjoyed your tour of San Francisco. Come back and see us when you have more time. There's much more to see. East coasters decided to have a girls weekend in San Francisco visiting my daughter, myself, mom, sister and sister-in-law. Rick met us in the lobby of our hotel and toured us in his spotless minivan. He immediately offered us water and said if we need breaks or bathroom stops, do not hesitate to ask. Comforting to know since we were traveling with my mom. I was amazed at how detailed and knowledgeable he was about the city, down to dates and details of specific sites. I would definitely use him again! Took the tour to Napa and Rick was professional, prompt and knowledgable. He planned our visits to two wineries and a restaurant for lunch and all were great choices. The car was clean and comfortable and Rick was a pleasure to engage with for the 8 hours that we spent together. Rick was a great tour guide. We did the San Francisco Highlights tour with him and saw so much of the city. He was extremely knowledgeable and we would recommend him highly. TOUR GUIDE RESPONSE: Thanks for the kind words and for posting a review. I am glad you enjoyed your tour. Come back and see us again. There's much more to see. Rick was simply fantastic both before the tour and during the tour. His counsel before the tour helped us avoid logistical problems that could have derailed the tour before it began. His knowledge of the history, the architecture, and the back roads of the area helped our driver and made for a great, efficient tour. No question if we go back to the area Tours by Locals and Rick would be our first call. TOUR GUIDE RESPONSE: Thank you for the kind words and for taking the time to post a review. I am glad you enjoyed your tour. When you next head this way, please let me know if I may be of some help. Excellent tour by Rick. In fact, my traveling partner said multiple times that this was the best tour he has ever taken. Rick is highly knowledgeable, personable, and will tailor the itinerary according to the interests of the clients. In our case, we had no particular itinerary in mind, so Rick went with his own plan. We also appreciated that Rick gives you a choice of where you would like to be dropped off at the end of the tour-- it can be your hotel or a place you'd like to explore further. TOUR GUIDE RESPONSE: Thank you so much for taking the time to post a review. I am sure other Tours by Locals travelers appreciate your taking the time to share your comments. I am glad you enjoyed your tour of San Francisco. When you next head this way, please let me know if I may be of some help. Rick was a fantastic guide for our Sonoma and Muir woods tour. He is first rate and knows California like the back of his hand. I forgive him for not knowing anything about F1. We were able to chose the wineries that we wanted visit and had lunch at a fantastic restaurant reserved by our guide. It was a very stress free day. TOUR GUIDE RESPONSE: Thanks for posting a review and for the kind words. I am glad you enjoyed your tour of Muir Woods and wine country. I also hope you had fun in Sausalito. When you next head this way, please let me know if I can be of some help. TOUR GUIDE RESPONSE: I am glad you and your daughter enjoyed your tour of San Francisco. Thanks for taking the time to post a review. It's most appreciated. Come back and see us again. Rick provided a great tour, prompt, knowledgeable, kind and flexible! TOUR GUIDE RESPONSE: Thanks for taking the time to rate the tour. I am glad you enjoyed seeing San Francisco's many neighborhoods. I had fun showing you some of the areas that tourists seldom visit. Rick was an excelent guide, a good surprise! He has knowledge of the city, very friendly and a good company. I strongly recomend him as a guide for San Francisco. TOUR GUIDE RESPONSE: Thanks for the kind words and for taking the time to post a review. I hope to see you in San Francisco again. I had few hours available in San Francisco for sightseeing and Rick managed to give me a great tour of the most Important places in the city like Union Square, Chinatown, Lombard Street, Fisherman's Wharf and the Golden Gate Bridge. I got a lot of good stories and explanations in connection to the different sights. When I come back to San Francisco with the whole family we will book a full day with Rick. TOUR GUIDE RESPONSE: Thanks so much for posting a review. I really appreciate it. I am glad you enjoyed your tour. I look forward to seeing you again and to meeting your family. Rick showed my wife and I an amazing time in San Francisco. All the sites and more. His knowledge of the surrounding history is amazing and will surely add to the tour. You won't be disappointed! TOUR GUIDE RESPONSE: Thanks so much for the kind words. I'm glad you enjoyed the tour. When you next head this way, please let me know if I may be of some help. Rick was a wonderful guide. We saw many different parts of San Francisco, and the trip to Muir Woods was wonderful. He was very knowledgeable about the history and different parts of the city. I would definitely recommend him for a complete tour of the city and surrounding areas. Outstanding tour of SF by Rick. He covered all the highlights of the city and provided interesting comments and stats about the areas we were visiting. He and this tour exceeded our expectations and I highly recommend hiring Rick for your touring needs. TOUR GUIDE RESPONSE: Thank you for your kind words. I am glad you enjoyed the tour. TOUR GUIDE RESPONSE: Thanks for rating your tour. I am glad you enjoyed seeing San Francisco's sights. Rick created the most memorial tour of San Francisco and the Bay Area. I emailed him what our group of four was interested in ahead of time and the 8 hour tour completely exceeded our expectations. Rick is extremely knowledgable of history and points of interest. The transportation was very comfortable and Rick was pleasant, professional and very accommodating. I would recommend Rick to anyone wanting to book a private tour. TOUR GUIDE RESPONSE: Thank you for the very kind words and for taking the time to post a review. I am glad you enjoyed the tour. Come back and see us when you have more time. TOUR GUIDE RESPONSE: I am glad you enjoyed your tour. Thanks so much for posting a rating. Rick provided a great tour of the highlights of the city. He really knew how to pack in lots of sites while, at the same time, not making it feel rushed. Very informative, entertaining and highly enjoyable. Five stars. TOUR GUIDE RESPONSE: Thanks so much for taking the time to post a review. I am glad you enjoyed your tour of San Francisco. Enjoy the rest of your stay in San Francisco. Rick, our guide, was a very professional and knowledgeable guide. He had an extensive understanding of the history and sites to be found in the Bay Area. We were treated to all the sites we were interested in and enjoyed several experiences we would not have known about without his help. Rick was an excellent driver, provided a perfect vehicle for our group of four and made the day very enjoyable. I would recommend his services to anyone visiting the Bay Area or SF. TOUR GUIDE RESPONSE: Thanks for posting a review. It's greatly appreciated. I am glad you enjoyed the tour and that your daughter got to see both "Full House" sites. TOUR GUIDE RESPONSE: Thanks for rating the tour. I am glad your group enjoyed seeing the sights of Fisherman's Wharf. very friendly and accommodating. comfortable car. highly knowledgeable. knew general history of areas of San Francisco and also interesting tidbits, places he recommended to visit were beautiful and educational. highly recommended as tour guide! TOUR GUIDE RESPONSE: Thanks for taking the time to post a review. It is most appreciated. I am glad you enjoyed your tour of San Francisco. I hope the remainder of your cruise went well. A GREAT tour of an amazing city. Rick took us to places where buses and large vans have been banned so we were able to get a unique view of several neighborhoods. He filled us in on local facts and brought the city alive sharing its history and current events. We asked him to avoid busy tourist spots and he created a tour that was just what we needed to truly enjoy San Francisco. It's great not to have to deal with a car rental, traffic, or parking! Don't just read a guide, take a tour with Rick! TOUR GUIDE RESPONSE: Thank you for the very kind review. I appreciate your taking the time to share your views with others. I'm glad you enjoyed your tour and seeing a bit of my favorite city. I hope you get a chance to come back and see us again. Really enjoyed our tour of San Francisco. Rick knew how to efficiently traverse the city and show us the many interesting diverse areas of town. Also appreciated his historical knowledge. Well done! Rick was GREAT! We had a fantastic tour of the city. He took us to many of the legendary places and a few spots that are fascinating, but otherwise unknown to a tourist. We highly recommend him - his knowledge of San Francisco is excellent. He was also great with our two daughters (ages 9 & 11). Thanks again Rick! TOUR GUIDE RESPONSE: Thanks for taking the time to post a review. I am glad you enjoyed your tour of San Francisco. When you next head this way, please let me know if I may be of some help. Our Tour Guide, Rick was on time to meet us and the vehicle was clean and comfortable. Rick has a deep knowledge of San Francisco and the tour was extensive. Rick was most obliging in not rushing the time. We covered a wide area and took in a lot of the "must see" sights. Thoroughly enjoyed the tour. Great value. Would certainly recommend Rick to anyone. Muir Woods was a wonderful place to visit, and we had a couple of good stops on the journey to take photos. I hadn't realised that guides are not allowed into the Woods, so Rick gave us the history of the place while we were driving there, which was very interesting. TOUR GUIDE RESPONSE: I am sorry you didn't notice the restriction that guides are prohibited from leading groups in Muir Woods. I have now added this restriction to the tour's description as well. Nevertheless, I hope you enjoyed seeing the redwoods. We had a great half day with Rick touring around the city area. Rick was very knowledgeable and professional, and also a great driver. I had been to San Francisco a couple of times before, but saw and learned a lot of new things on the tour. I would recommend Rick to anyone visiting San Francisco and wanting to get a good overview of the city and its history. TOUR GUIDE RESPONSE: I am glad you enjoyed your tour of San Francisco. When you next head this way, please let me know if I may be of some help. Rick did a super job with our tour of San Francisco. He was knowledgable, friendly, and fun to spend the afternoon with. He tailored our tour to our interests and needs. We learned a lot from him and got some great tips for enjoying our time in the San Francisco area. We'll definitely recommend him to any friends that might be visiting this area. We couldn't have been more pleased with our tour! TOUR GUIDE RESPONSE: Thank you for the kind words and for taking the time to post a review. I am glad the two of you enjoyed your tour of San Francisco. When you next head this way, please let me know if I may be of some help. Definitely a 5 star tour! Rick picked us up at our San Francisco Hotel at 8am. The tour starts by taking beautiful Highway 1 with many stops for picture taking. Rick was very knowledgeable of the interesting history of this area.The Monterey 17 mile drive was wonderful, stopping for pictures and shopping. We had lunch at Pebble Beach with a view of the 18th hole followed by some additional shopping in Carmel. The trip back to San Francisco was along Highway 101 which also was nice, getting back at 6pm. TOUR GUIDE RESPONSE: Thank you for taking the time to post a review. I am glad you enjoyed your tour of Monterey and Carmel. I think the drive along CA Route 1 is one of the most scenic drives in the U.S. You'll have to come back and see the portion through Big Sur and/or along the Mendocino and Sonoma County coast. My 16 year old grandson and I visited San Francisco and had the most amazing tour with Rick S. We saw absolutely everything. Rick was organized, knowledgeable, had a great personality and tailored the trip perfectly for both of us. A huge success! TOUR GUIDE RESPONSE: Thanks so much for taking the time to post a review. It is most appreciated. I am glad your grandson and you enjoyed your tour of San Francisco. When you next head this way, please let me know if I may be of some help. I booked a full-day tour of San Francisco with Rick, and it was fantastic!!! In eight hours Rick showed me the best of the city and beyond, including Sausalito and Muir Woods. Rick is very knowledgeable about the city, its history and architecture, and yet he doesn't overwhelm you with too much information. He is very attentive and accommodating to your needs. I wanted to do the "Goldie Hawn drive" from the movie Foul Play which was not on the original itinerary. Rick was happy to add it to the tour. TOUR GUIDE RESPONSE: Thanks so much for taking the time to post a review. I am glad you enjoyed your day-long tour of San Francisco. The "Goldie Hawn drive" along Conzelman Road in the Marin Headlands is one of my favorite Bay Area drives with its great views of San Francisco, the Bay, and the Pacific. When you next head this way, please let me know if I may be of some help. My wife and I could not have been happier with Rick's service. This was a special three day trip down the Big Sur highway. Rick was waiting for us at the San Jose airport when we arrived and shepherded us all the way to our departure from San Luis Obispo two days later. He was knowledgable, polite, and attentive. We recommend him without reservation. TOUR GUIDE RESPONSE: Thank you for taking the time to post a review. It's most appreciated. I am glad the two of you enjoyed your tour along the Central California coast. I am especially glad that the weather cooperated so you could enjoy the magnificent views. Rick was knowledgeable, personable and accommodating. One of the best "toursbylocals" guide we have ever had. We recommend him highly. TOUR GUIDE RESPONSE: Thanks so much for commenting. I am glad you enjoyed your tour of San Francisco. I hope the remainder of your cruise was fun. I saw your ship anchored offshore when I was in Monterey the following day. Rick did an exceptional job of touring us around the city. His vast knowledge of the area and selection of sights really satisfied the 6 people in on our tour. This is by far the best way to go sight seeing! TOUR GUIDE RESPONSE: I am glad your family and you enjoyed the tour of San Francisco. Thanks so much for posting a review. When you next head this way, please let me know if I may be of some help. TOUR GUIDE RESPONSE: Thank you for taking the time to post a review. I am sorry that the federal government shutdown prevented you from seeing Muir Woods. I hope you enjoyed having the opportunity to see many of San Francisco's vibrant neighborhoods. Hopefully, when you next get this way you'll be able to see the redwood trees in Muir Woods or elsewhere in Northern California. Great personality, very knowledgeable, excellent communicator. Thoroughly enjoyed our day with Rick. TOUR GUIDE RESPONSE: Thanks so much for taking the time to post a review. I am glad you enjoyed seeing some of our beautiful sights. TOUR GUIDE RESPONSE: Thanks for taking the time to post a review. I am glad you enjoyed the tour. When you next head this way, please let me know if I may be of some help. Enjoy the rest of your stay in San Francisco. Our request was to be shown San Francisco and the Sonoma Valley which Rick more than fulfilled. There was Lombard Street, Steiner Street and the corner of Haight and Ashbury - Rick stopping for photos as requested - The Presidio and San Francisco Park; posh houses and ones with grand architecture; Cliff House and Land's End; Rick gave us history and stories without being boring. But for us Sonoma, Della Santini Restaurant & the Petite Sirah taste at Anaba were the highlights. A great day, a great guide! TOUR GUIDE RESPONSE: Thank you so much for posting a review. I really appreciate your taking the time to do so. Della Santina's is a very pleasant place to lunch in the town of Sonoma - deicious food and a nice garden patio. I don't get many requests for Petite Sirah (Durif in France and Australia). When you next come, we'll have to visit Quixote Winery in the Napa Valley. Amazing architecture and good Petite and Cabernet. A private tour is an attractive option. It is not cheap but well worth it. 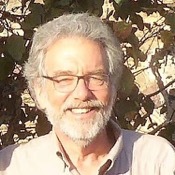 Rick is extremely knowledgeable about the San Francisco area and he is also very friendly and just nice to be with. He is very attentive to the wishes and preferences of his guests and will do his best to make everyone happy with everything on the tour. All four in our group had a great time on a tour that covered Muir Woods in the morning, lunch in Sonoma at The Girl & The Fig and wine tasting in Sonoma valley in the afternoon. TOUR GUIDE RESPONSE: Thanks so much for posting a review. I am glad you enjoyed your tour. When you next head this way, please feel free to contact me if I can be of some help. Rick communicated with us through email prior to our arrival and we determined what type of tour we wanted. He arrived promptly at our hotel on the day of the tour and we had a great time. Very knowledgeable about San Francisco; it's history and sites. Would most definitely use Rick again! 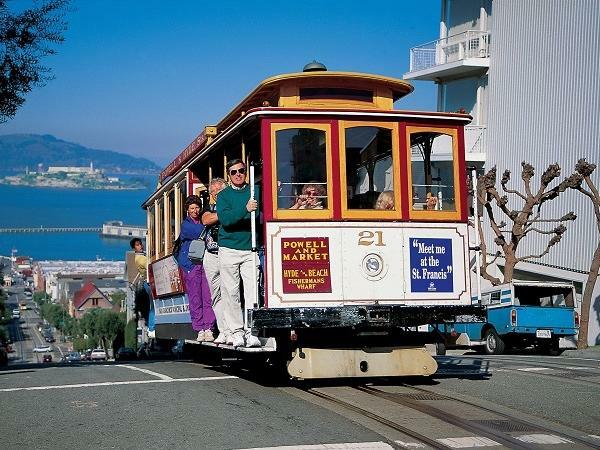 Rick was very knowledgeable and you could tell he loves all that San Francisco has to offer. We had a great time at Muir Woods and could have spent all day there if that would have been possible. He made us feel right at home and was extremely flexible. If we have another opportunity to use Tours by Locals in the future, we will not hesitate. We chose Tours by Locals, as we only had a few days in which to see everything in San Francisco. There was a basic itinerary for the tour that we chose, but we were given the option to add or delete anything we wanted. Rick was very easy going, which put us at east immediately. His knowlege of the city is brilliant, and he was able to answer any questions we had. We were given time to explore as well, such as at Sausalito and Muir Woods. Thanks for a great day Rick! TOUR GUIDE RESPONSE: I am glad you enjoyed your tour of San Francisco, Sausalito, and Muir Woods. Thanks so much for the kind words and for taking the time to comment. Picked us up right on time. Very professional guide and excellent driver. Drove us to many areas of SF with interesting historical and current info along the way. Rick is very client oriented and will do whatever he can to make sure that what you want to see/know is included in your tour. He was just a very nice person with whom to spend the day. I highly recommend that you select Rick as your tour guide in SF. TOUR GUIDE RESPONSE: Thanks so much for taking the time to post a review. It is most appreciated. I am glad you enjoyed seeing some of San Francisco's beautiful sights. I hope you also enjoyed your visit to Alcatraz and the remainder of your cruise. Rick was awesome! We really enjoyed the history and information that Rick shared with us. He was helpful to me in planning our trip before heading to SF and in finalizing details for our group's time after the tour. Rick was extremely professional and was very patient with our high school group. Rick went above and beyond and I'd work with him again in a heartbeat! TOUR GUIDE RESPONSE: Thanks for your kind comments and for taking the time to post a review. I am glad the day was mild and sunny, so we could walk across the Golden Gate Bridge and down the "Crookedest Street in the World." When you next head this way, do not hesitate to contact me if I may be of some help. Rick met us at our San Francisco hotel. He was very prompt and was interesting and informative about San Francisco. Our 3 and a half hour tour covered the city area with great viewpoints and many photo opportunities. We felt comfortable with Rick and had a very pleasant day in this lovely city. TOUR GUIDE RESPONSE: Thank you so much for taking the time to post a review. It is most appreciated. I am glad you enjoyed the tour and your brief stay in San Francisco. Come back when you can spend more time here. There's lots more to see. TOUR GUIDE RESPONSE: Mark, I am glad Kay, Jake, and you enjoyed the tour. Thanks for taking the time to post a review. It is most appreciated. Also, thanks for recommending Tours by Locals to your friends. When you next head this way, feel free to contact me if I may be of some help. Best wishes, Rick S.
Rick was a warm and knowledgeable guide. He provided us with a great tour of the highlights of SF in a very comfortable minivan with many stops along the way. He was more than happy to tailor the tour to our desires and made it just right for our 2 kids, ages 9 and 12. Watching the fortune cookies being made in Chinatown was one of their favorites. We covered a lot of ground in a few hours and we would not have been able to do it without Rick. TOUR GUIDE RESPONSE: I'm glad you enjoyed your tour as well as the restaurants we talked about. When you next head this way, feel free to contact me. Thank you for taking the time to post a review. Exactly what we had expected - a comprehensive and interesting whirlwind tour of the SF area with an experienced operator which complemented our own inexact efforts to take in the city in the previous 2 days. This removed the fear that I was walking away from one of the more interesting city communities knowing less than I started and set up a desire to return and uncover more of what Rick introduced to us. He also can cut down a limey with good American manners. Touché! 5 out of 5! Rick was courteous and knowledgeable touring two teenage daughters and two mothers. It was the girls' first trip to SF and Rick did a masterful job sharing age appropriate sights and facts! Lunch in Sausalito and a hike through the Muir Woods was a fantastic second half of our full day tour. HIghly recommend this guide and this specific tour to ensure a flavor of the city and its surrounding natural beauty. No disappointments or delays - efficient and very informative. I would recommend Rick to anyone choosing a tour. Rick was an exceptional tour guide, we could not have been happier with our experience. He was very knowledgeable about the area. He went above and beyond to ensure that our tour was the best it could be. Rick was not only extremely knowledgeable, he also made our tour fun and exciting by tailoring it to our specific needs and interests. We really enjoyed our time and the 3 and half hours just seemed to fly by. Our tour with Rick was absolutely excellent & just what we wanted! We were looking for a tour that covered the main San Francisco sights & gave us a feel for the 'real' city during a short visit our 2 boys. Rick was extremely knowledgeable & professional, but very friendly & relaxed too. He was amusing & quickly established a rapport with the kids - we particularly wanted them to see that sightseeing can be fun. Rick's tour exceeded our expectations & we would highly recommend him as a tour guide. Rick's tour was very professional and informative and he was very accommodating for our family, including one with limited mobility. Would highly recommend his tour to others coming to San Francisco.